sailboat. : Five Things I Love Friday & Five Blogs I Love Friday 028. Five Things I Love Friday & Five Blogs I Love Friday 028. One. Wildfox Baggy Beach Jumpers. Whilst on the hunt for cute loungewear, because I've realised I own no cute comfortable clothes other than pyjamas, I have fallen completely in love with the Wildfox Baggy Beach Jumpers. Now at a whopping £95 each there is no way I can justify purchasing one, even at 50% off my eyes would still water a bit at the checkout so I'm on the hunt for a more affordable alternative. So far I haven't found anything quite as lovely as these, so if anyone knows of anywhere that sells something similar, please please please point me in that direction! This little guy totally reminds me of Ralphie, even down to the big expressive eyes! Bunny prints on items of clothing are mostly white, so I was pretty excited to see this black bunny face peeking back at me when I was browsing ASOS. I think I may have to purchase this the next time I find a good ASOS discount code floating around! I am just loving YouTube right now, not only making videos but watching other people's! I think we're so lucky to have YouTube, anyone with a camera can upload something and get involved with a whole online community. Technology amazes me sometimes, it really does! I can totally imagine Ralphie doing this! He would have the time of his life chasing other animals around a field, he's constantly running around my feet trying to trip me over! Five. This amazing bunny teapot! I may have gone a bit overboard with the amazing bunny things this week but bunnies are cute, so I'm hoping you forgive me! 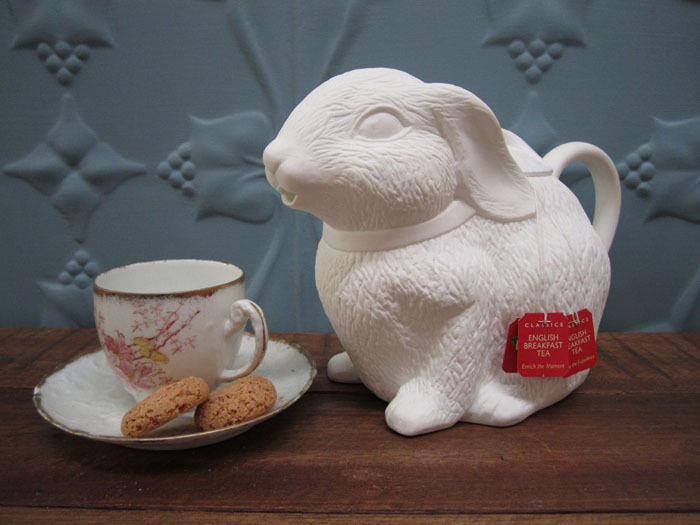 This bunny teapot is SO adorable, I would love to drink lots of cup of tea from this cutie, although I'd probably be too protective over it and never let anyone touch it in case it got broken. I totally have what I like to call 'only child syndrome' over my stuff, I've always been very conscious of who I let borrow or even touch anything that I own. Need to work on that one, still, at almost twenty three years old! Four. Meadow Daisy. Five. Natalie's Love. What have you been loving lately? Any absolute favourite blogs? - I always love discovering new ones! 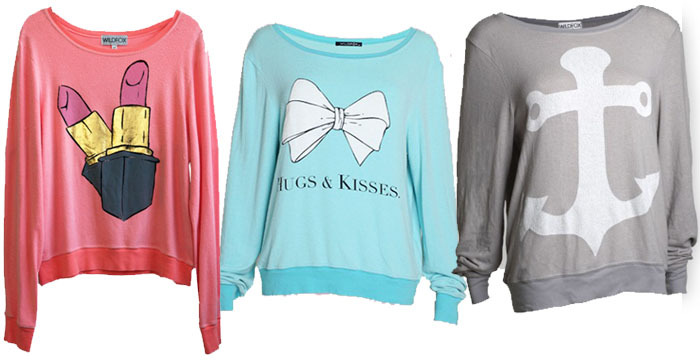 I love the wildfox jumpers, they're very cute and casual. The bunny teapot is funny! I read so many I can't pick just ten let alone one! The bunny jumper is so cute! 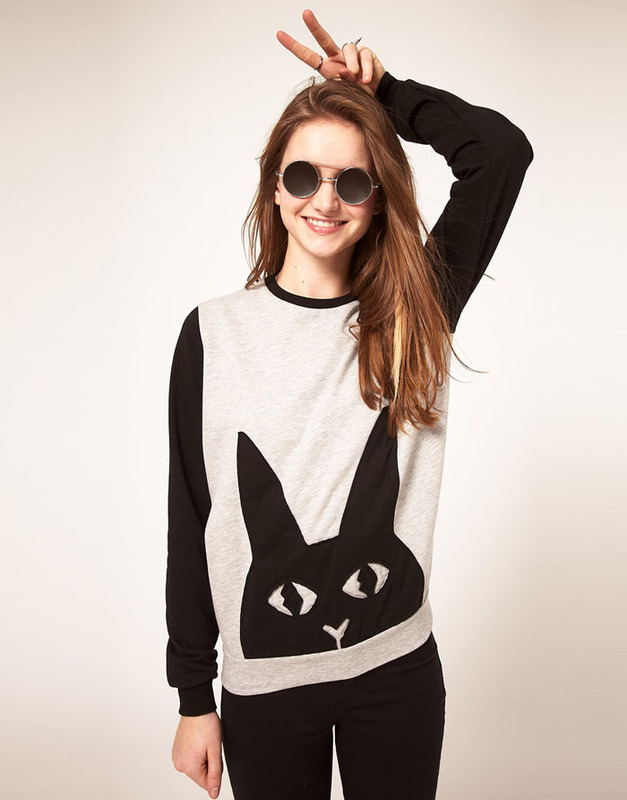 I really want a wildfox jumper, they're just so expensive :( The bunny jumper is amazing! Love that bunny jumper! So adorable!! I love Youtube as well. I filmed a couple of videos today which i'm planning on putting up - so easy and yet so addictive! OMG I LOVE THE RABBIT!!!!!! Haha that is so funny rounding up the sheep! Love wildfox tops, the style and designs are so relaxed, shame the price is so insane! I was looking for good alternatives to Wildfox a couple weeks ago! I came across The Orphan's Arms - they're absolutely amazing. Their jumpers are really warm and comfy and less than half the price! They're releasing their s/s 12 collection soon too I think! Thank you! I saw this jumper in the ASOS magazine but couldn't find it online, but after seeing it on here I've just bought it! The teapot melts my heart! I've said it before, and I'll say it again. If I impulse buy a rabbit, it will be ENTIRELY your fault. Love the bunny theme. You're not alone in only child syndrome. I am very precious about my possessions too! Current Top Ten Favourite Lipsticks. Would You Like To Advertise On Sailboat? Happy Valentine's Day, Whale You Be My Valentine? Fresh Valentine's Day Make Up!